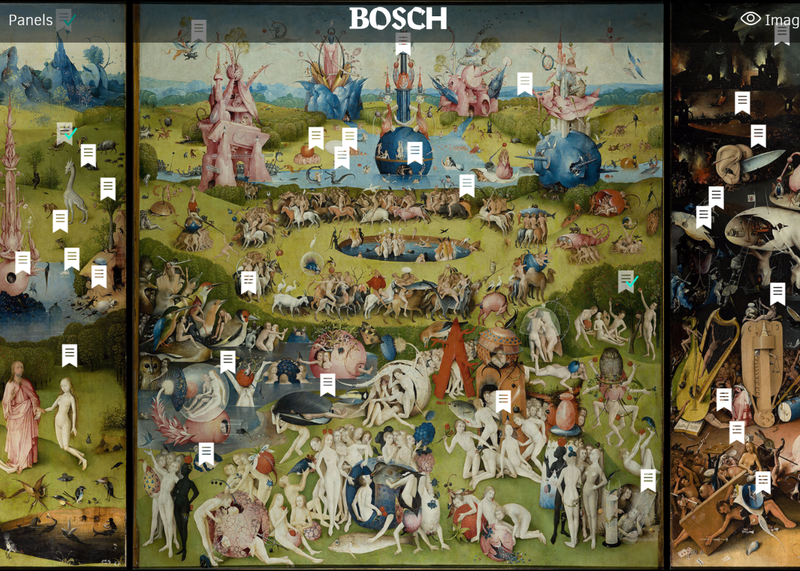 Open Culture notes that the tool comes as part of a “transmedia triptych,” which also includes a documentary titled Hieronymus Bosch, Touched by the Devil (trailer below), and a virtual reality documentary titled Hieronymus Bosch, the Eyes of the Owl. (For her part, Slate movie critic Dana Stevens is already an avowed fan of the interactive tool, which she has enjoyed alongside her daughter.) And if none of that’s enough, there’s apparently also an app for that.